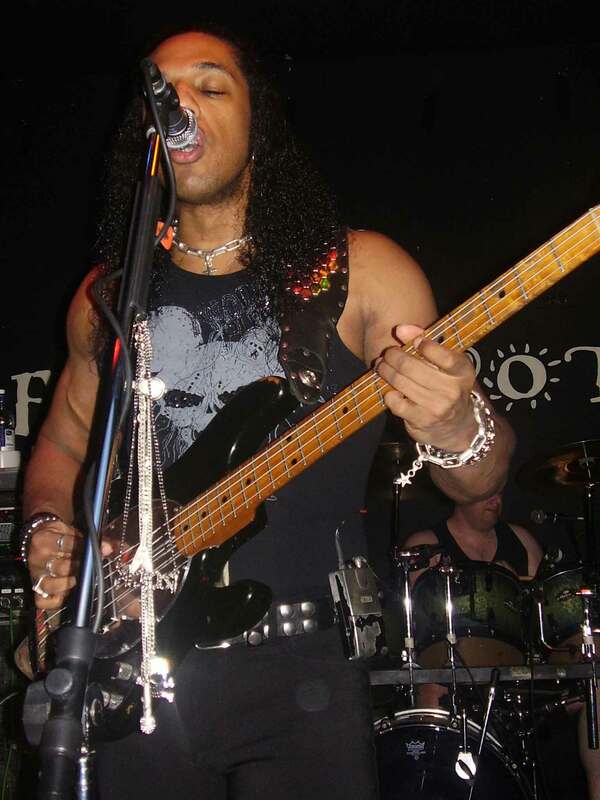 Limehouse Lizzy, Britain’s leading tribute to Phil Lynott’s Thin Lizzy kicked off the new Flowerpot season with a blistering, riff-rocking performance which had the seething, sell-out crowd crying out for more. Andy Fox on drums and bassist Lynott lookalikey, Wayne Ellis provided the rock-steady rhythm for the band’s two ace axemen Greg Alcock and Tim Read’s flying-fingered fretwork. Alcock put on a superb ‘cool dude’ performance, gelling brilliantly with ex-Pingle school Read’s all-action, metre-long mane-tossing, wild-eyed posing, ultra-rocking persona in the style of guitar legend Gary Moore. With no set list, the awesome foursome simply took requests from the audience, hammering out what seemed like Lizzy’s entire back catalogue with an obvious love and respect for the Lynott legacy. The entire 140 minute concert was a rocker’s delight with perhaps the mid-set triple-header of Emerald, Don’t Believe A Word and Bob Seger’s Rosalie, perhaps the purplest of all purple patches in a multi-coloured quilt of a gig. L.L. gave Derby a double hell of a night’s entertainment. Boys. We hope you’ll be back in our town soon, very soon.